We are getting to the section of the alphabet that has several letters that as I started this y St. Louis A to Z project, I expected to be a real challenge. For “U” I knew immediately I would seize the moment with Union Station, but I never expected to get a couple of other suggestions that really should be included! I love that Danielle from work pointed out the USS Inaugural and that fellow St. Louis blogger Lindsay Itzkowitz of Itz Linz suggested Upper Limits Indoor Rock Climbing! I can’t wait to tell you more about all three of these! 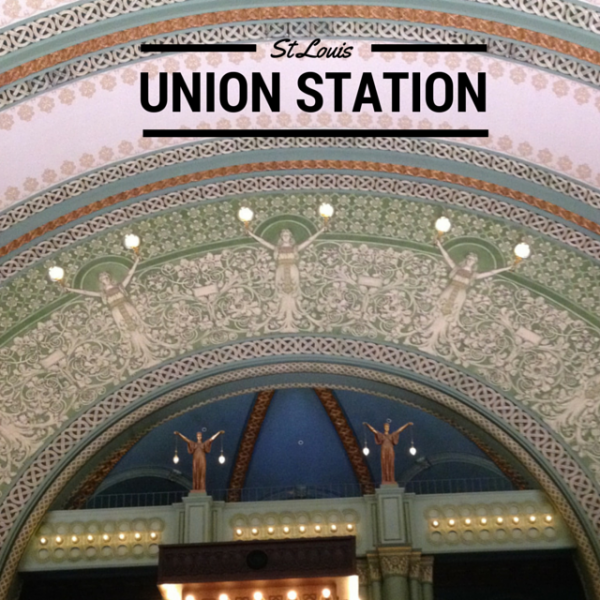 Well before I moved to St. Louis, I had heard of Union Station. It was downtown and a big space that it seems had seen better days. It was once the largest train station in the world (according to the station’s website), and my guess is the World’s Fair and our gateway location made St. Louis a great fit. Over time as travel changed, trains lost their favor for personal cars and airplanes. That made the late 70s and early 80s tough. But in the mid-80s, Union Station was redone as an entertainment district. That’s a bit earlier than I starting making the trip up, but I’ve been to the Hard Rock Cafe there a few times, as well as some of the other places (gotta enjoy the Cardinal Clubhouse). And I hope people in St. Louis don’t mind me saying, but I have really been ho hum about it. That is until June…..
How had I missed the Grand Hall? Seriously. I had been in Union Station from various sides of the building over the years. And in June, my friend George came in for a conference and he was staying at the hotel in Union Station. After a fantastic dinner at 1111 Mississippi, we decided to have a cocktail in the lobby bar. and that’s when I was truly impressed. I really had to wonder how I had missed the Grand Hall! 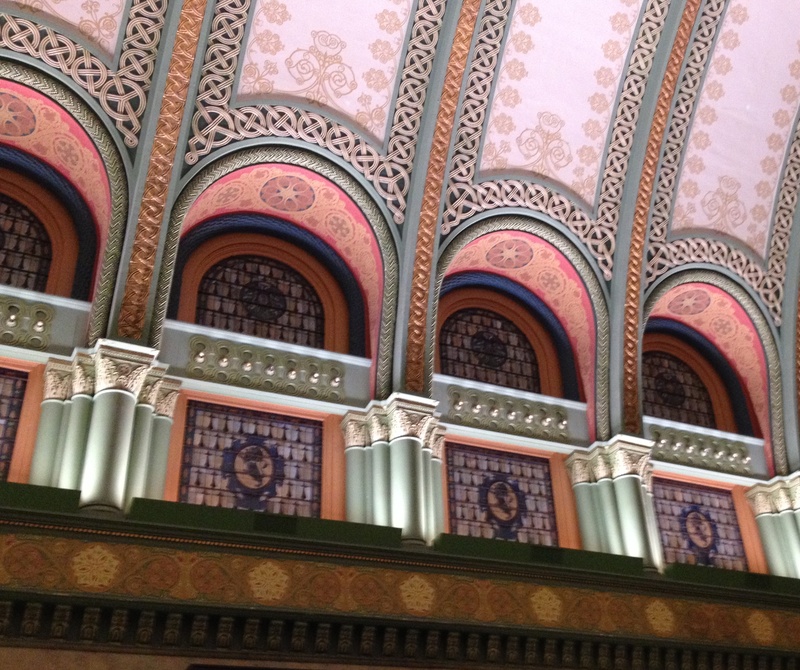 The detail on the ceiling… the carvings, painting, stained glass windows, lighting and so much more. Not sure how I had missed it before. As I marveled about it though, something happened…. the lights went down and a laser light show started. 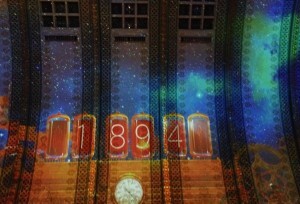 The show provided the history of St. Louis on the ceiling. I have to say that now and then as George & I chatted, I found myself distracted by information about the World’s Fair or other major events in St. Louis’ 250 year history. This is something I think I’ll add to the list for visiting friends and family because it leaves you with such a great touchpoint on history! Gotta admit I had to search this one out a bit on the internet to know what Danielle was talking about! And it is a unique story to say the least! So the USS Inaugural was a minesweeper in World War II. The ship was in service a couple of years and once the war was over, it was setup as a museum ship in St. Louis. Having toured several other boats in New York, North Carolina and Hawaii, I can picture that as being a cool thing in visit. But then when the river flooded in the 1990s, the Inaugural was torn from its moorings and the wreckage is still in the Mississippi River! Check out this video some girls shot when the drought made the boat easily accessible. Gotta go down there and check it out soon! Rock climbing… in St. Louis…. It is an intriguing thought and one I hadn’t even had cross my mind until Lindsay told me about Upper Limits Indoor Rock Climbing. She and some friends checked it out thanks to a Groupon and she does a great job of convincing me it would be an interesting work out! 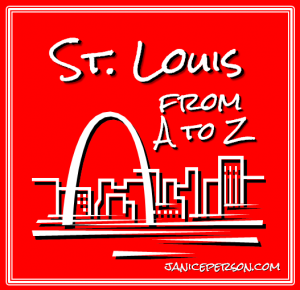 The A to Z series about St. Louis is going to get finished sometime! But in the meantime, feel free to suggest topics for the upcoming letters or call me out for missing a critical piece on today’s post. You can see what else in St. Louis gets a shoutout in the A to Z or check out the A to Z of Agriculture. Thanks Lindsay for coming by! I have been enjoying it… hope it is useful for others too!